Why Is Literature Important for Language Learning? 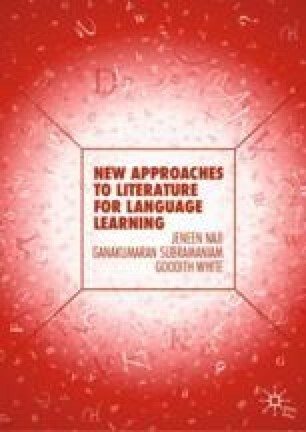 The authors state why they believe that literature should play an important role in language learning, and why the time is ripe for a re-evaluation and refashioning of the way in which it is used by teachers and students. They describe some emerging reasons for including literature in language learning instruction, such as the help it provides for developing multiple literacies and thinking skills needed for the twenty first century such as creativity, critical thinking, and collaboration, and the fact that it gives students practice in experiential, responsive reading as opposed to ‘efferent reading’ which is concerned with processing factual information. Digital literature also provides exciting new opportunities for creating and responding to multimodal literary texts in ways which have not existed previously. Card, O. S. (2010, August 24). The Four Story Structures that Dominate Novels. Writer’s Digest: The Writing Boot Camp. Available at http://www.writersdigest.com/writing-articles/by-writing-goal/write-first-chapter-get-started/4-story-structures-that-dominate-novels. Kidd, D. C., & Castano, E. (2013). Reading Literary Fiction Improves Theory of Mind. Science, 342, 377–380. Available at http://dx.doi.org/10.1126/science.1239918. National Council of Teachers of English. (2013). The NCTE Definition of 21st Century Literacies. Available at www.ncte.org/positions/statements/21stcentdefinition. The Partnership for 21st Century Learning. (n.d.). Framework for 21st Century Learning. Available at http://www.p21.org/about-us/p21-framework. Widrich, L. (2012). The Science of Storytelling: Why Telling a Story Is the Most Powerful Way to Activate Our Brains. Available at http://lifehacker.com/5965703/the-science-of-storytelling-why-telling-a-story-is-the-most-powerful-way-to-activate-our-brains.